Over the holidays (Dec. 20) we saw the two-hour series finale of the time travel TV show Timeless, seasonally titled “The Miracle of Christmas.” We were there at the beginning for this two-season series; let’s take a brief look at how it ended. While we hate to see a good series go, sometimes closing down is the right thing to do. Not every series can go on forever; we’ve all seen shows that linger on long past when they should have died. Timeless was built around a wide-ranging conspiracy—an evil organization called “Rittenhouse.” Such stories have a certain inherent instability. If the secret enemy simply keeps going, with the good guys never making any progress against it, then we’re stuck with a fixed situation that lacks the tension of possible resolution or serious arc development—take The Man From U.N.C.L.E. or any similar 1960s-type spy series. On the other hand, if the heroes do succeed in making headway against their opponents, they eventually win, and the show can find itself at a loss for what the heroes are going to do next (I’m looking at you, Chuck). So a struggle against a secret conspiracy is a good candidate for a limited series. In this sense, I liked the Timeless wrap-up. The show wrapped before it could lose momentum. This limited lifetime is particularly important here, because even the short run of the series was enough to reveal some significant weaknesses in the “Rittenhouse” idea. You’ll recall that the principal characters are Lucy Preston, a history professor; Wyatt Logan, a U.S. Army Delta Force operative; and Rufus Carlin, the technical expert and pilot of the “Lifeboat” time ship used by the good guys—along with Jiya Marri, a programmer who isn’t initially part of the traveling team but grows into the role. They skip around from time period to time period, trying to prevent two groups of opponents from changing history for the worse. The time travelers gradually discover that a secret organization, passed down along family lines, has been dominating American history since the Founding. A NSA renegade, Garcia Flynn, and his henchmen steal the experimental time machine in order to stop Rittenhouse by changing history. There’s an interesting ambiguity from the beginning about who is actually the villain, since we see Flynn’s machinations before we find out about Rittenhouse. But we’re never quite sure either what Rittenhouse is about or how Flynn expects to stop it. The secret society is supposed to derive from an actual historical figure, David Rittenhouse (1732-1796). Wikipedia describes him as “an American astronomer, inventor, clockmaker, mathematician, surveyor, scientific instrument craftsman, and public official . . . a member of the American Philosophical Society and the first director of the United States Mint.” This Rittenhouse seems an odd choice for a sinister mastermind. He actually sounds more like a hero (of science) to me. So, right from the start, we’re a little at sea as to what Rittenhouse’s motives or goals are supposed to be. TV Tropes has a hilarious discussion of what it calls the “Omniscient Council of Vagueness.” Rittenhouse is a perfect example. We don’t know what the organization wants. We don’t know why. If it’s been manipulating American society or politics, we don’t know when or where. We don’t know how it exercises its influence or what historical events can be ascribed to that influence. We know it’s bad, because its agents are ruthless. Maybe the goal has something to do with master-race breeding (a favorite go-to way to characterize villains since the Nazis): in the episode where David Rittenhouse actually appears as an old man (Season 1, episode 10), he declares that Lucy is a fine healthy specimen and orders her taken to his bedroom (a procedure which is of course timely interrupted before we can overstep the bounds of network TV). But even the idea of some eugenic program isn’t really developed. It’s easy to postulate some vast secret organization like Marvel’s Hydra or U.N.C.L.E.’s THRUSH, and equally simple to plaster them with enough repellent traits that we’re happy to take them for granted as The Bad Guys. But given how sophisticated Timeless was in some respects, I was sort of surprised it never went further in fleshing out this premise. On the other hand, Timeless gets points for recognizing that you can’t wipe out a technology forever just by destroying all the prototypes. So, at the end of Back to the Future, Doc Brown soberly declares that Marty must destroy the time-traveling DeLorean once he returns to his own time, since time travel is too dangerous to be allowed. (In an appropriately comic conclusion, Doc then promptly negates his own directive by showing up with a wonderful time-traveling steam engine.) But even if we suppose that the secret of Marty and Doc’s adventures is kept quiet forever, somebody else is eventually going to come up with a flux capacitor (whether or not the idea is occasioned by falling off a toilet and hitting your head). The characters recognize this issue at the end of the Timeless finale. Rather than destroying the “Lifeboat” prototype, they decide to hang onto it, just in case. This is not just a good way to leave a thread hanging in case anybody decides to make a sequel someday; it’s smart thinking. And, in a clever final twist, the last scene does suggest—in the innocuous setting of a science fair—that some years later, a high-school STEM student, in a program started by Rufus and Jiya themselves, is about to stumble upon the time travel principle again. The most important part of the story’s end, though, is about the characters. I was glad to see that, after a number of twists and turns, the romances worked out satisfyingly. Lucy and Wyatt, as we always suspected, do end up together. So do Rufus and Jiya—but their situation is a little more complicated. There’s more going on than meets the eye in the resolution of these relationships. A key part of Wyatt’s motivation throughout had been his guilt and grief over the death of his wife Jessica. When Jessica turns up alive, after a particular historical change (Season 2, episode 3), this naturally throws a wrench into the budding romance between Lucy and Wyatt. But Jessica, it turns out, is alive because Rittenhouse (now in possession of a time machine) has changed history to save her, and in the new history has inculcated Jessica into Rittenhouse’s plans from the beginning. This is not, in other words, the Jessica that Wyatt originally new: this is a Rittenhouse Jessica, subverted from childhood (Season 2, episodes 7, 9). The plot complications that ensue are one thing. But the setup produces a rather novel view of character. To what extent is this alternate version of Jessica the same person that Wyatt fell in love with? And if loving someone means loving her “for who she is,” what happens when she’s now someone else? The same issue is played out more subtly with Rufus and Jiya. In the last regular episode, Rufus is killed. 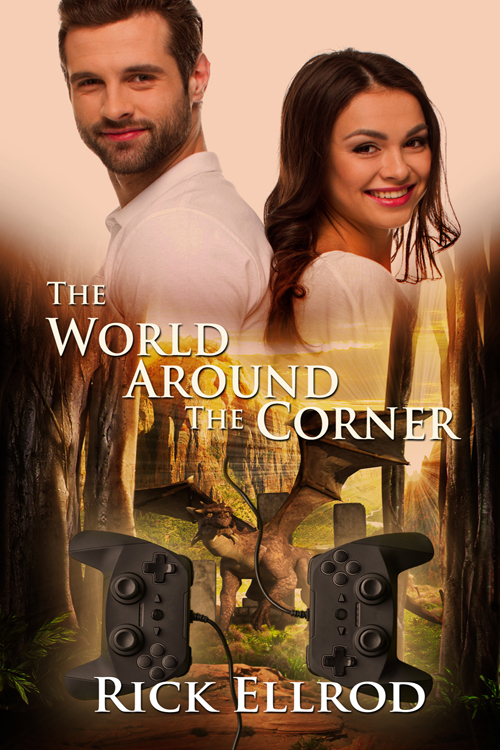 Since this is a time travel story, the other characters are naturally bent on changing things to prevent that from happening. In the finale, this is achieved: but the Rufus who’s now alive is from a timeline different from the one originally inhabited by Wyatt and Lucy. He hasn’t had all the same experiences. Meanwhile, Jiya has experienced a much more traumatic change. In the last regular episode, she is stranded in 1888 Chinatown and must survive by her wits alone for three years. The Jiya who meets the revised Rufus has gone through things Rufus has never imagined. We see that they nonetheless stay in love; but they will have to work through some major issues together. This identity issue is not unique to time travel. We have a much longer history of stories about experiences that significantly change a person: for example, a man goes off to war and comes back “a changed man.” For example, in the movie Sommersby (1993), a Civil War veteran’s wife is not entirely sure whether the man who came back is the one who left, or a near-identical twin. But in this normal case, continuity is still expected: the change is from an already-known branch point. Laurel Sommersby ultimately concludes the man before her cannot be her husband—“because I never loved him the way I love you!” Character development happens, if not always gradually, at least in some kind of organic way. She does not believe her husband could have become the man she now loves. Stories generally involve the kind of character development that comes through the accumulation of experience. 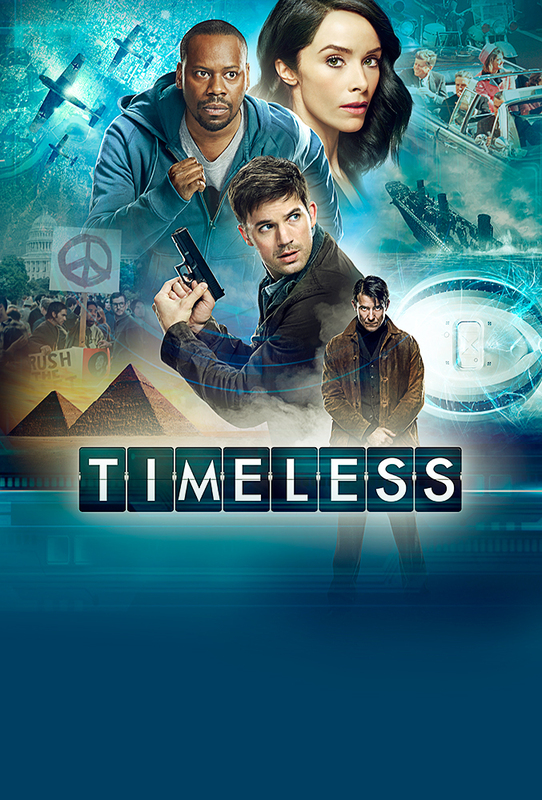 But Timeless gives us kind of character development by substituting a new version of a person, with a new history of experience—a deft use of the “what-ifs” for which time travel tales are famous. Timeless has been a cool series to follow. I don’t know that I’d have wanted it to go on indefinitely, but it sparked some stimulating thoughts in its brief run. Haven’t watched the series, but great post and interesting thoughts. Oh gosh. I hate to say it but I think that baby Hitler example Ben Shapiro gave is apropos to the discussion. The idea is, “would you go back in time and kill baby Hitler”, or so goes an internet fauxlosophising thought experiment. Ben Shapiro says no: baby Hitler isn’t Hitler, and can’t be held responsible for crimes he hasn’t (yet) committed. In not quite these words, he says that if you can change history by killing baby Hitler, then you can (or at least should try to) change history by having baby Hitler grow up to be someone better. To bring it back to your post, it’s cute that “Rufus” and Jiya fall back in love, but I’m not sure that’s still Rufus. That organic change you speak of, intuitively seems an important aspect of identity for me and though Rufus and “Rufus” may both be branches on the same Platonic Rufus tree, organically derived from the same root, they have no guarantee of such an organic bridge between each other. So it’s a weird mix of, to be Rufus it’s important to be on the Rufus tree somewhere, but to be a particular Rufus the branch is important, because of the changes it accretes relative to other branches. I find both interpretations a little problematic. The Rufus tree can have any number of branches, and with the right experiences Rufus may have turned out in any number of ways. It’s a staple of SF to have “good” characters be “evil” in some alternate universe: and it’s a very believable trope. Who knows what any of us might have been, had our childhoods been different in relevant ways. On the other hand, the Rufus as just the branch seems to make Rufus too contingent on outside experience as opposed to some sort of internal character (*). The intuitive appeal of a soul concept is that there is a thing like character, which may respond in different ways to different stimuli, but of which we can speak as a thing in itself. If Rufus is simply a sequence of events, then why bother with Rufus except as a name for the sequence? I don’t know that I have a well-developed answer to these questions; which is one reason they’re so interesting. A good deal of Greek philosophy was about making sense of how a thing can change and yet stay the same — and at what point it no longer is. Aristotle, I think, would say that the object (Rufus) has some characteristics that are essential to it, and others that are accidental. A new hairstyle doesn’t make me a new person; but a complete memory wipe and replacement might. When we’re talking about a person, there’s also the issue of what one might call consciousness. I am not just an object full of qualities; I’m also a subject — someone who knows, feels, remembers, chooses. One can raise the question of whether that knower/feeler/chooser has remained the same — the internal side, you might say. But how to determine whether that’s true is a knotty question.